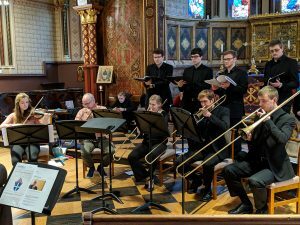 The UNC Sackbut Ensemble performs in the newly renovated chapel at King’s College, London. 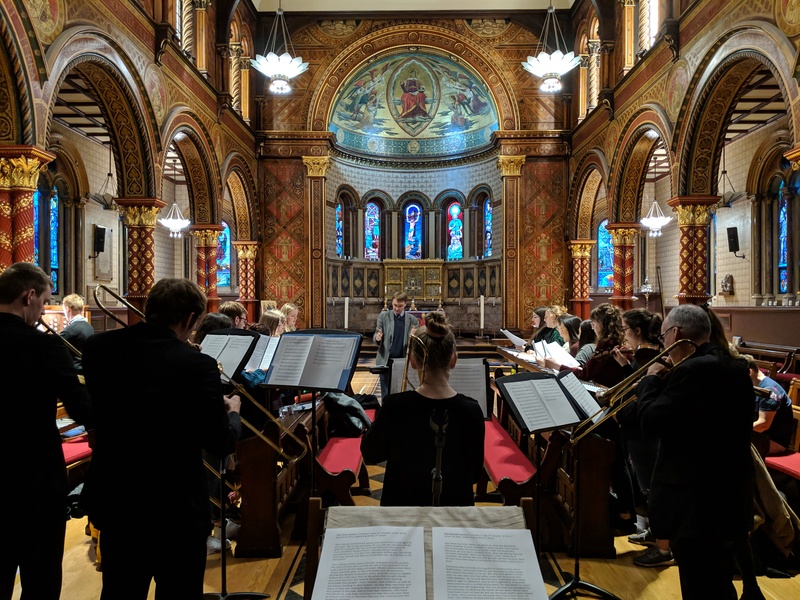 The UNC Sackbut Ensemble spent Spring Break at King’s College, London to collaborate with the choir for a performance in the newly renovated King’s College Chapel. The joint concert was led by Professors Michael Kris (UNC Music) and Joseph Fort (KCL) and celebrated the recent renovations. 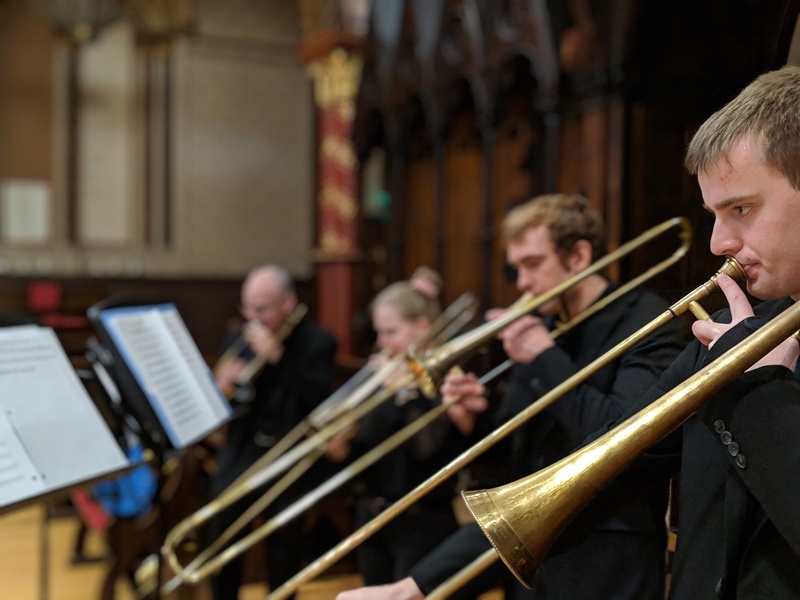 The UNC Sackbut Ensemble in performance at King’s College Chapel. Kings College, London is a strategic partner of UNC-Chapel Hill and each year multiple collaborations and exchanges happen, both here and in London. 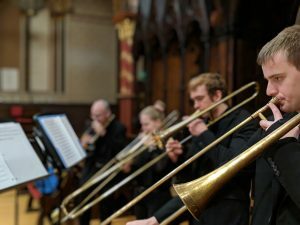 This specific project was the result of a similar project in 2015 when the two ensembles collaborated in celebration of the 400th anniversary of the publication of Giovanni Gabrieli’s Sacrae symphoniae from 1615. Kris mentioned this performance when meeting with King’s College, London representatives last spring and they felt a similar concert would be a nice way to celebrate the renovation of the chapel and further the collaborative spirit between Carolina and KCL. Following this meeting, Kris reached out to Joseph Fort, Director of the choir at KCL, and the project was born. 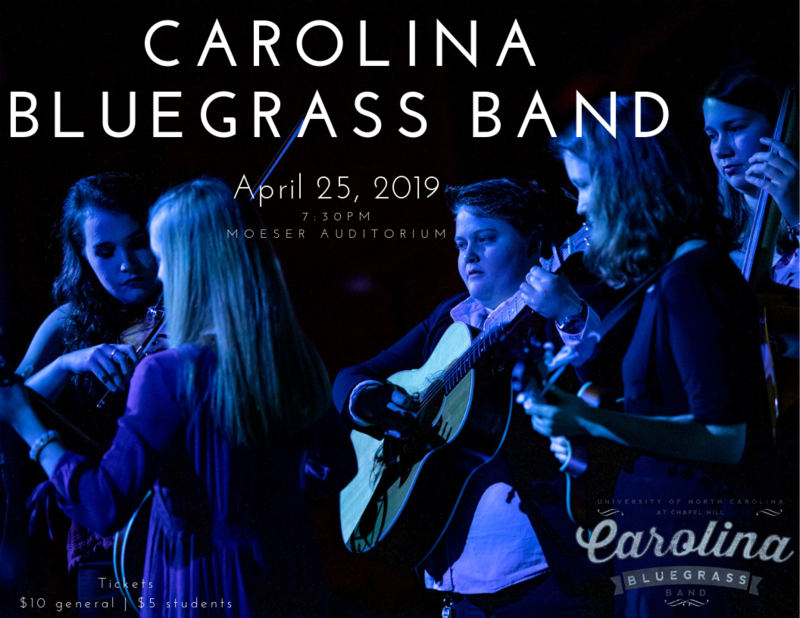 This collaborative project was funded through the generosity of UNC Global and the UNC Institute of Arts and Humanities. 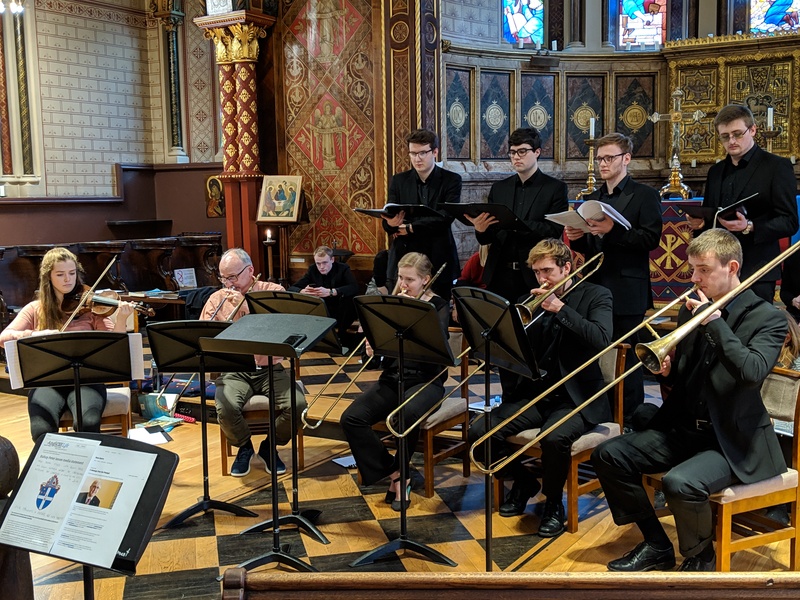 UNC Sackbut Ensemble performs with the King’s College Choir over spring break 2019.